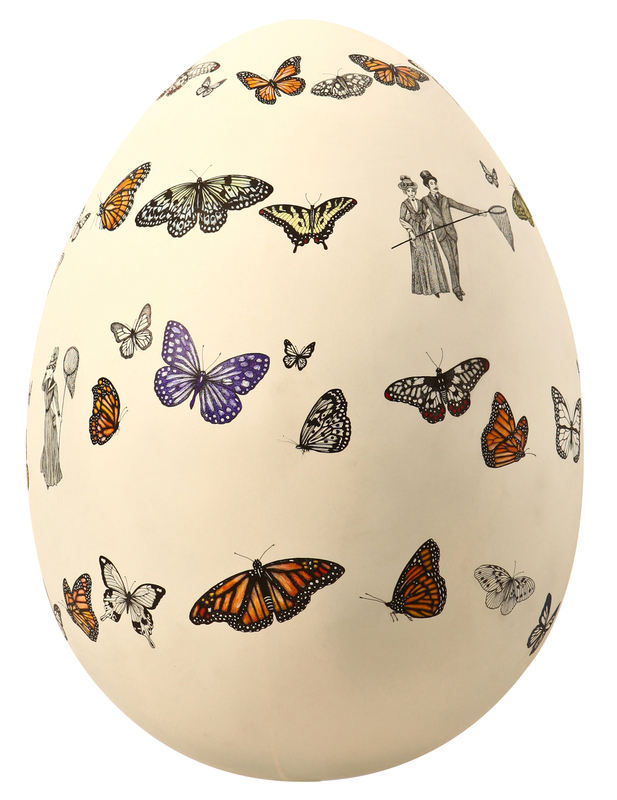 I feel very privileged to have been invited to participate in The Lindt Big Egg Hunt 2013. 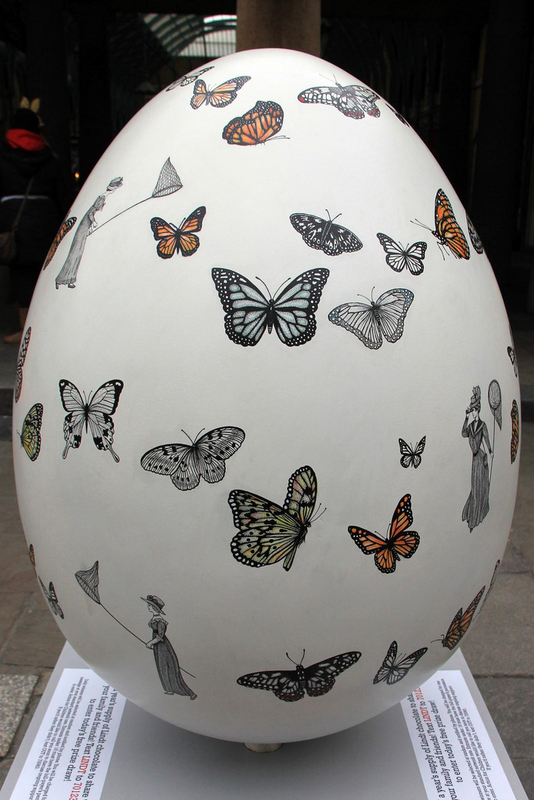 Over a hundred giant eggs were on outdoor public display in various cities around the country for eight weeks before being exhibited at the Institute of Contemporary Arts then sold at auction to raise money for Action for Children. Butterfly Catchers is a decorative representation of the new life and beauty we see in nature in the springtime with a quintessential British, Victorian aesthetic.